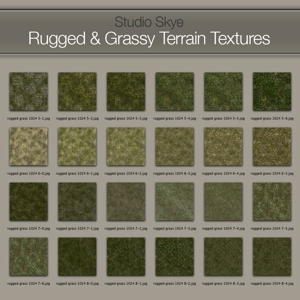 To download this set for use in virtual worlds and 3D design work click Add to Cart button below. 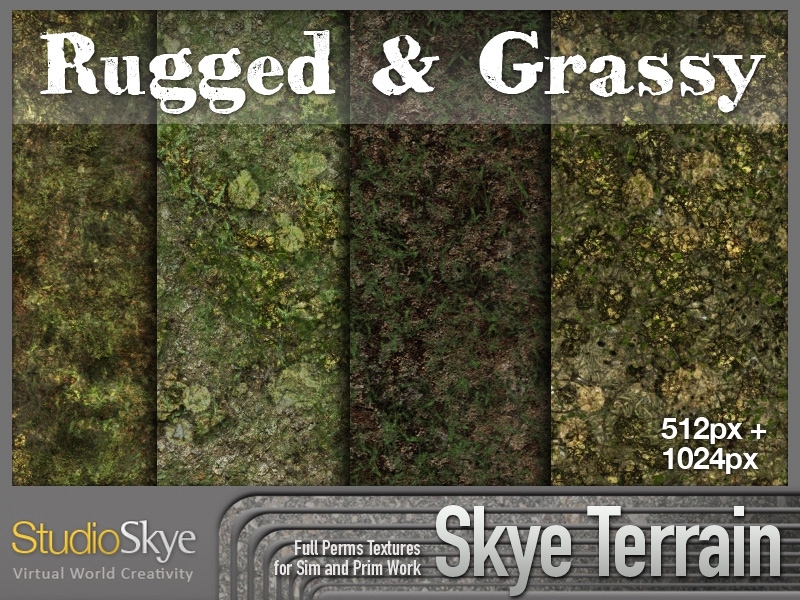 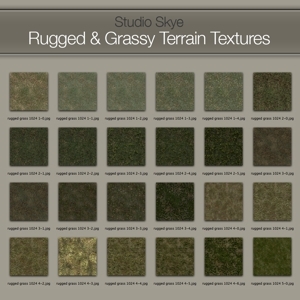 Skye Terrain textures are designed to give you a quality range of textures with subtle variations on a theme. 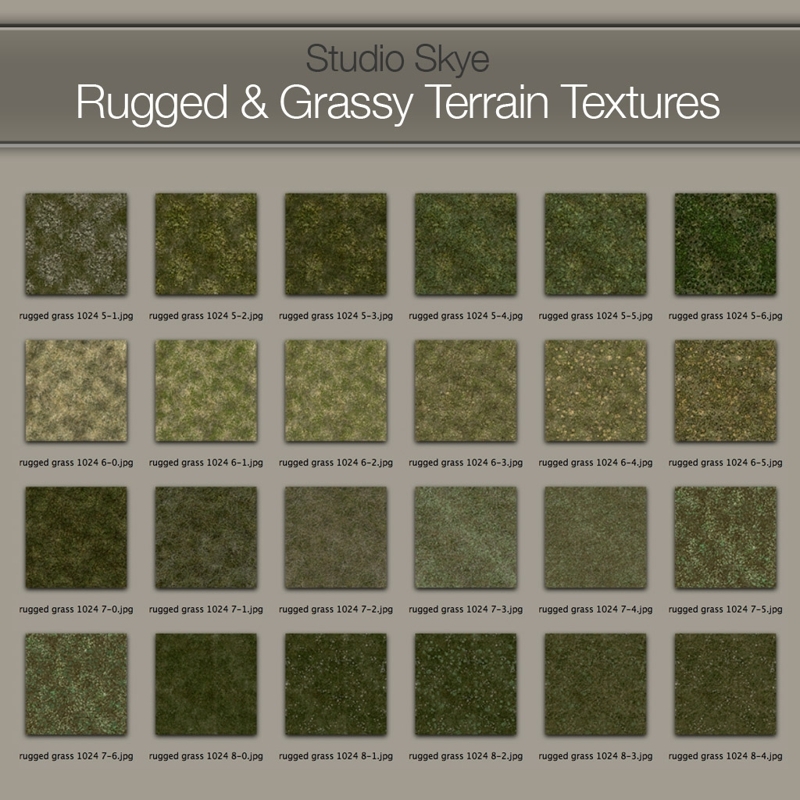 The aim is to give you more choice and control over your design. 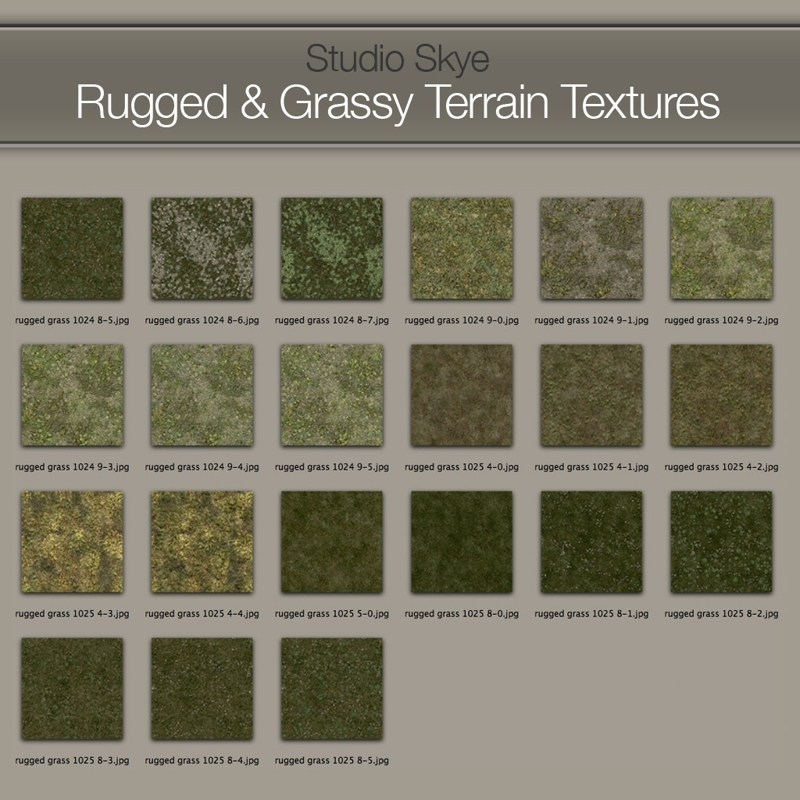 This set of rugged and gnarly grass textures are designed for wilder terrain where grass has forgotten it’s manners. 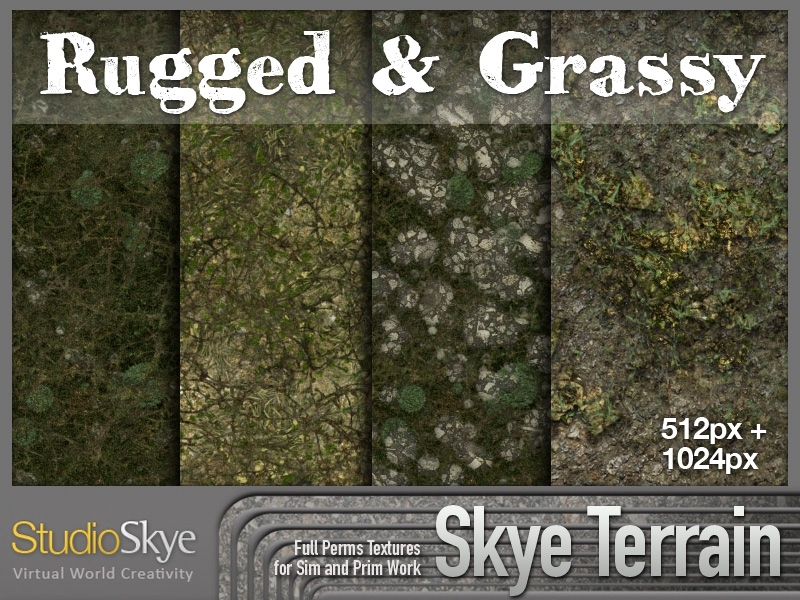 Whorled mosses and stones mix with short olive blades and lichen spots. 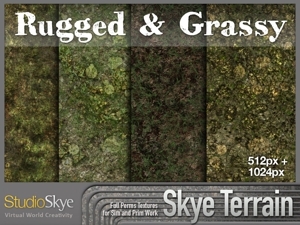 There’s a smooth range from simple green ground cover to more elaborate patterned growth. 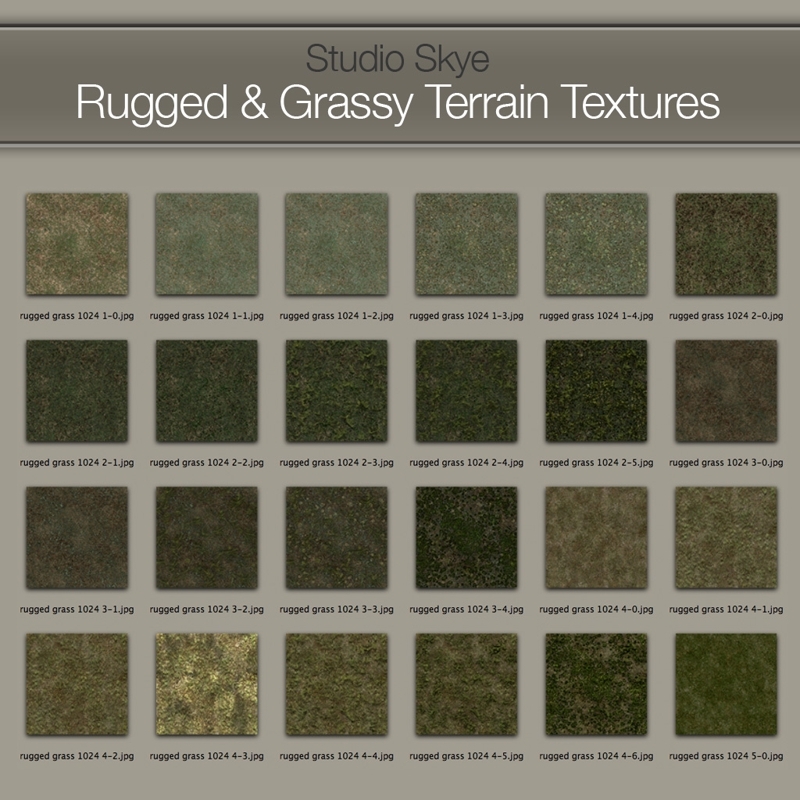 Full permissions for personal and commercial builds. 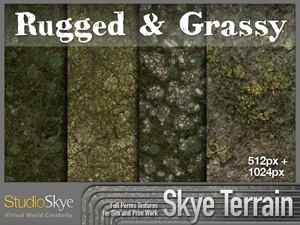 Buy inworld or on Second Life Marketplace for delivery direct to your Second Life avatar.